The Luchador levels are insane, so fun. 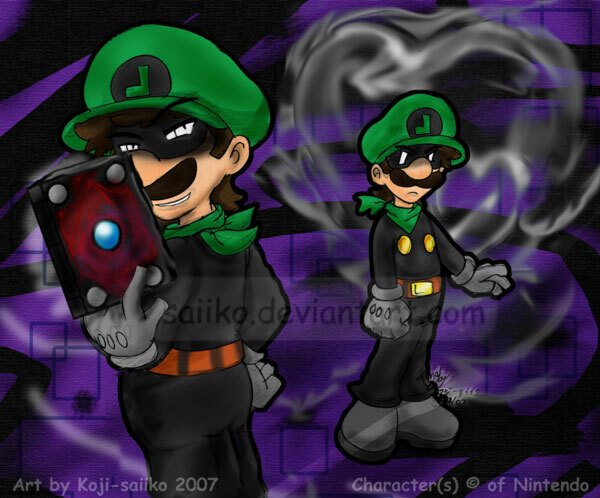 @Dark-Luigi that is amazing who made it? Rayman looks a bit off in that fan art, the rest look good though! I have just finished all the new levels and collected all the teensies. I have also completed all the invasion levels and got all the Lum trophies. The only thing that is left are the Origins levels, but these can wait since I have already played trough Origins multiple times. Began playing it like an hour ago... first levels were super-dull.. but it got better. Stil not a good platformer though. It has a super-nice presentation with beautiful graphics and an awesome score but gameplay wise the games feels... nah.. good but nothing special.. It shines through with some good pieces here and there but so far i have only had really fun with the Murfy levels. I'm sorry, but the character AI in the Murphy levels (at least in the Vita version) is simply terrible, and ruins what is otherwise a perfect game. I have done almost everything in the game up to the point of the final Murphy-controlled level in Olympus Maximus, and I have just spent half an hour trying to get the King Teensy. Every single time I have died, it is because the AI has needlessly killed itself in ways a human controlled character could have easily avoided. The AI has been annoying at times up to this point, but this is just unacceptable. If I was playing the PS3, 360 or PC version, or had the ability to just use buttons to control Murphy, I would have an infinitely easier time with the level. But no. I'm sorry to say it, but at least for single player, the Vita/Wii U version is simply inferior to the other versions because of the Murphy AI. It is unacceptably horrendous at points which I simply cannot forgive. If not for it, it would have been the best 2D platformer ever in my opinion. Why would you play Rayman Legends by yourself? And that's exactly how I felt about Origins. pretty boring. The platforming is below average, compared to what i've played through out the years. I doubt I'll dig Legends, looks like more of the same outside the Murphy based stages & Wii U game controls. Give me Donkey Kong Country Tropical Freeze instead pease. From what I played, this is probably my Game of the Year at this point. Better than Pikmin 3. Better than Bioshock Infinite. Better than Luigi's Mansion 2. Granted, just based on 5 or so hours of the main worlds (with a couple of extra things) in multiplayer that I played, I wouldn't say that but considering all the content I haven't touched yet, plus the continuation of the Daily/Weekly Challenges that I love and the fact that the gameplay IS a step above Origins...yeah it's probably Game of the Year. I feel confident in saying that even though 3D World looks quite good, this will still be the better game. Especially for all the extras, main game is a bit short but there's an insane amount of extra content. Like, it has all the usual replaying of levels you would expect in a modern 2d platformer, it has much of the previous game IN the game, a silly multiplayer soccer mode thing, fun unlockables. the seemingly neverending challenges that when it was a free app I put so much time into. Also, just like I thought, best use of the Gamepad, it is so fun, especially in multiplayer. Music's great, also not surprising. Found out recently it's the same composer as Beyond Good and Evil, whichmakes me happy. This justifies getting the console more than any other game on it. Get it. Now. Has somebody experience problems with the server of challenges lastnight? Ok so even the bonus missions for each of the main levels are pratically new (if short, yet easy to fail) levels. So that's literally around 3 game's worth of levels, 2/3 of which are filled with collectibles you can miss on your first time. Even ignoring the challenge mode or anything. Wow...just wow. It honestly most reminds me of Star Wars Rogue Squadron 3, where they decided to just put a co-op version of the entirety of the previous game along with the really old Star Wars arcade games. It's just insane. I've really enjoyed it- and I got Origins for my 3ds. An essential part for any gamers collection. And considering the amount of consoles it's on, there's not really any excuse. I've almost bought copies for my friends just to raise awareness of the game.